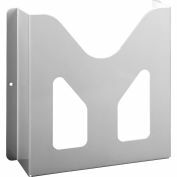 Designed for field installation on most standard one-door Type 12 enclosures. 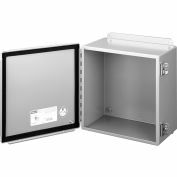 These latch kits will not fit Hoffman disconnect, CONCEPT™ or PROLINE™ enclosures. 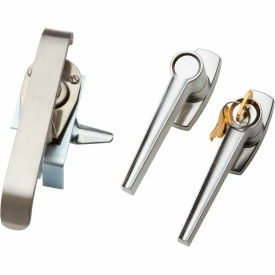 Each kit includes a handle, latch, latch rods, adjustable rod guides and all hardware. The latch rods can be adjusted to maintain the proper gasket compression by relocating the pins in the rod guides. When the pin is removed, the latch rod can also be removed. 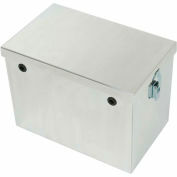 These kits are available with a key locking handle, a non-locking handle or a padlocking handle. 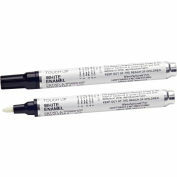 All openings through the door are gasketed to assure a complete seal. 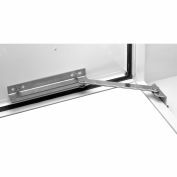 Ends of latch rods have rollers for easier door closing.